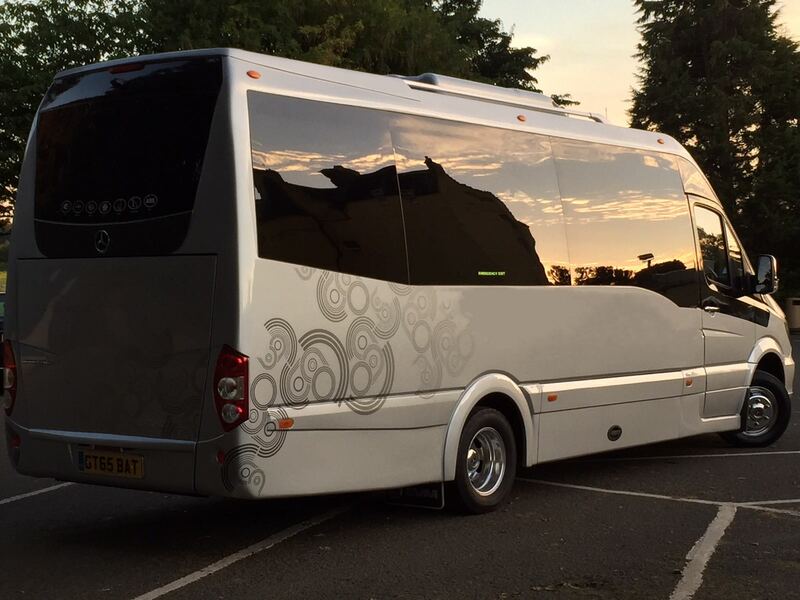 We started out in 2008 as a chauffeur company but it quickly became apparent that clients we were meeting wanted our services to include the capacity to transport larger groups of guests, so we quickly introduced Mini Coaches into our fleet and over the years became a specialised service provider in this market. After many business changes became Platinum Travel Solutions a name that we believe describes exactly what we do and we hope you think so too. Platinum Travel Solutions Ltd currently holds a Restricted licence. "Our journey from Coddington to Langar Hall went perfectly, our driver was great, he arrived on time, was smartly dressed, polite and friendly. The vehicle was fantastic, clean and comfortable. Perfect for our group of 16. Great value for money. 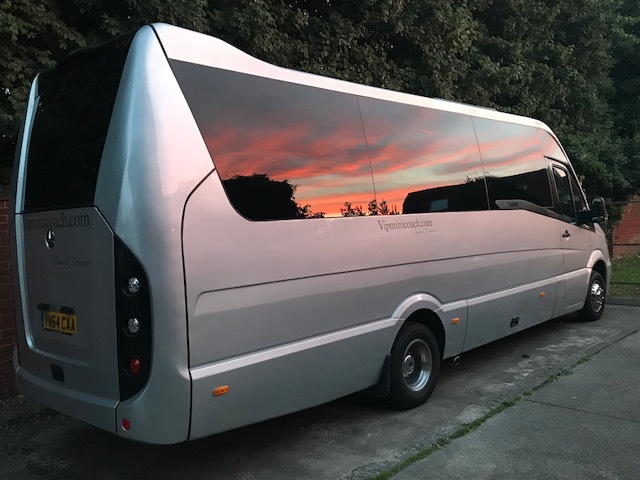 Would definitely book again"
"Taz was prompt and professional, and the vehicle was clean, comfortable and luxurious - the ideal way to travel home after a long weekend in Newcastle." "Our Company was extremely impressed with Platinum. Platinum is very competitive with price and provide a first class service. The luxury mini bus was impressive and suited our needs perfectly; clean, comfortable and just what we wanted. The driver, Mark, was very professional and patient. I would highly recommend Platinum and we will book them again." "I booked a trip to Cheltenham with multiple pick up points and it all went very smoothly indeed! The communication before hand gave me plenty of confidence and that was totally justified. The vehicles were very clean and perfect for the job and our driver Wayne was very friendly, courteous and professional. The quality of travel was the perfect bookends to a memorable few days at the races. I would thoroughly recommend the Platinum team, and will definitely use them again." "Everything about the communication and the service was 10/10 The pick up was on time Peter our driver was fantastic from the start of our journey to cheltenham races to dropping everyone off . The coach was very clean and comfortable Thank you for making our day so enjoyable and special. I would 100% recommend using this company ." "comfortable and clean bus, friendly driver"
"Superb service!! Stopped when requested, nothing was too much trouble. The driver on our return journey was brilliant, funny, smart and punctual! Would highly recommend"
"Driver On time.. lovely bus clean & very comfortable we took our own drinks & played our music we really enjoyed our journey. Definitely would recommend." "I used VIP mini coach for a trip to Cardiff for a rugby day out recently. There service was on time, the drivers were very accommodating in every way. We even had to turn back and drop my son back as he wasn't well. Nothing was to much trouble I would highly recommend there service and I will with no doubt use them again! I found there rates very reasonable also." "Excellent from start to finish great communication from Paul from first contact through to confirmation, this was for taking 9 very excited 11 year old girls out for the day on my daughters birthday. The vehicle itself was lovely looked great and very comfortable and driver Wayne excellent very professional and let the girls connect a phone to the stereo and let the girls choose their own music. Would highly recommend and will use again."